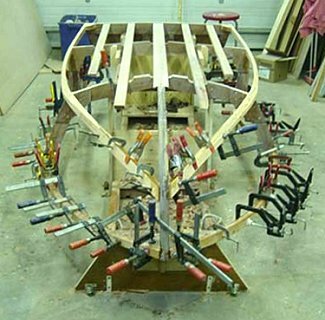 We thought we'd send you in some pictures of the boat we are building from your Glen L "Squirt" plans. It was started during the Christmas holidays, and we're hoping to have her ready to launch this summer. It is for our 11 year old daughter, Vanessa.... and she has already christened the boat "L'il Nessy". 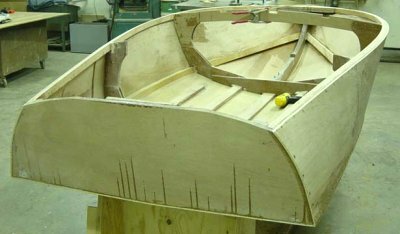 We have take 10 pictures of the boat in progress.... from the construction of the frame... to it's present state - the deck caulked and varnished, and the hull painted black. Love your website, love the Squirt! !